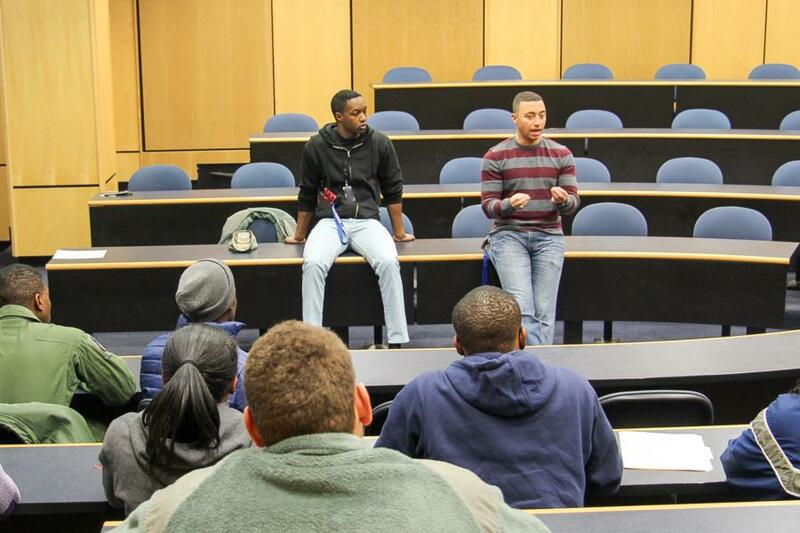 We visited with the NSBE Club on Thursday last week. National Society of Black Engineers (NSBE) was founded in 1971 at Purdue University to promote the recruitment and retention of black engineering students. It is now one of the largest student run organizations in the country. 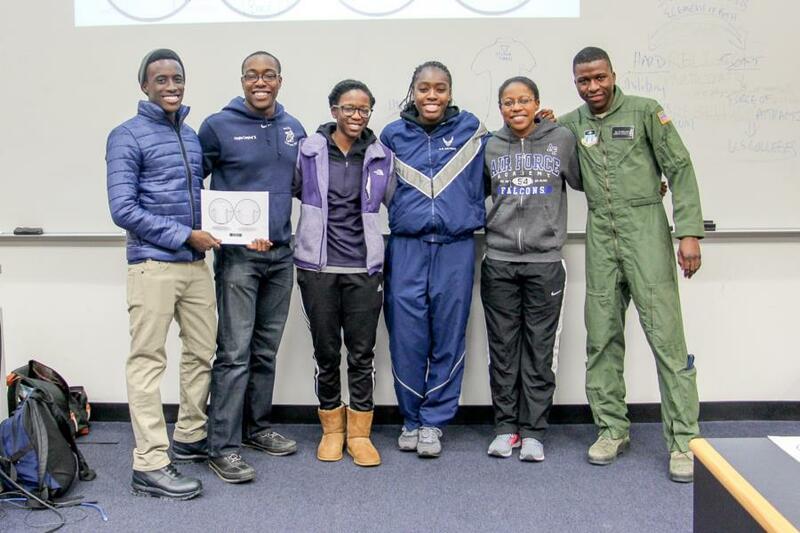 The USAF Academy was awarded NSBE's second highest award, the Golden Torch Award for government community service through the efforts of USAFA's Cadet Wing STEM Outreach Club. 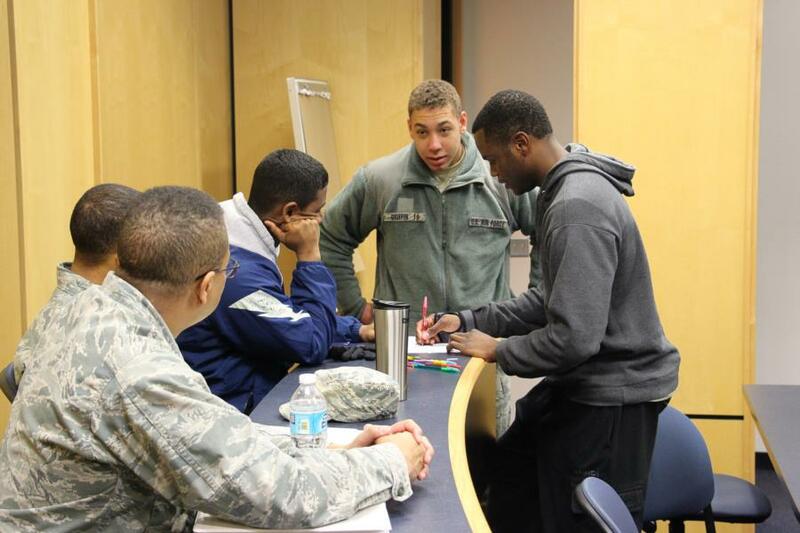 NSBE's impact in the community: The NSBE Club is involved with programs such as S.E.E.K. and R.I.S.E. NSBE Summer Engineering Experience for Kids (S.E.E.K. ): This is a 3 week summer paid program in Denver. It is designed to be a fun and engaging educational experience, led by NSBE engineering students and technical professionals dedicated to pursuing professional excellence and giving back to the community. The S.E.E.K. program utilizes a hands-on design curriculum. Students in grades 3rd through 5th are able to work in teams, using their knowledge to solve problems and create products while discovering the underlying math and science principles involved in these processes. Each week, the students take on a new project, culminating with a presentation, design competition and physical competitions. Research and Innovative Solutions for Excellence (R.I.S.E. ): This is a program where NSBE Jr. membership are able to work on real world engineering or STEM projects. This will allow the students to RISE above all others who are not a NSBE Jr. member and be able to gain the necessary experience to begin their journey toward entrance into a STEM Career. These projects help to gain experience or can even be used to help out a community or an engineering problem overseas. Each project can take about 3-4 months to complete, positions are assigned to students to expose them to project management and how to work with a team. Some prime examples of R.I.S.E. projects in past years are; designing and creating a submersible vehicle, designing and building a renewable energy model home, and even designing a bridge - just to name a few. 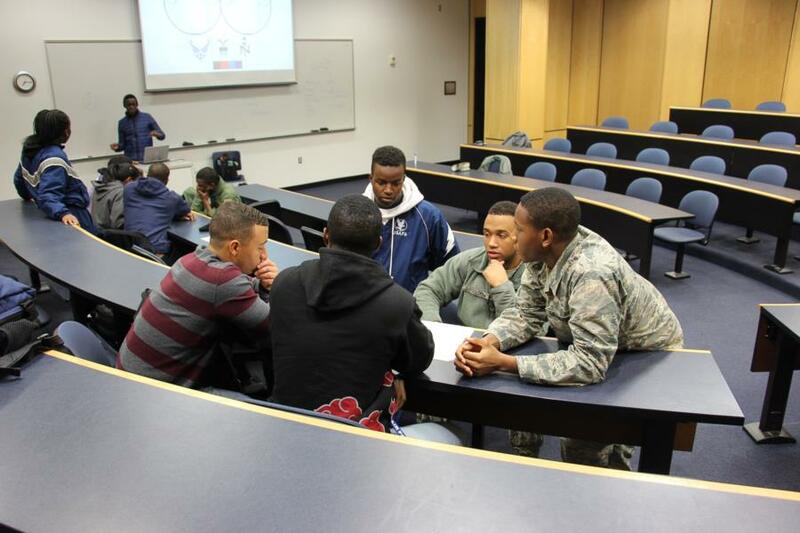 During the meeting that we attended last week the Cadets had to split up into 3 groups to brainstorm and design on what they wanted their NSBE t-shirts to look like. It was a good quick exercise to get all of the members to work together and learn about each other. Congratulations to Group 3, they won the exercise! Their design will be the newest Club t-shirts for this Semester. 2Lt Tramaine Barnett and 2Lt Malcolm Williams were also guest speakers during the meeting to talk to the Cadets about what they were involved in and how they were involved when they attended the Academy. 2LT Williams spoke about his experiences within Civil Engineering and the opportunities it gave him both here at the Academy and internationally, while 2LT Barnett talked to the Cadets about the importance of working towards their future - how their choices and their actions within Cadet Leadership roles can and will impact the next generation of Cadets as they become leaders whether while attending the Academy and even after while serving in the Military. 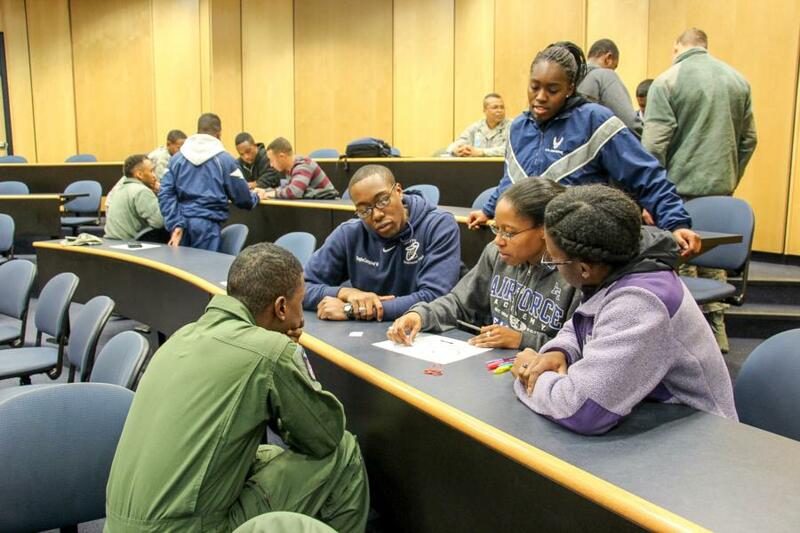 To view the rest of the pictures from this event go to Galleries - Extracurricular - Cadet Clubs. Or click the link below.